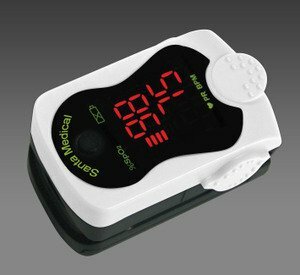 SantaMedical SM-210 Finger Pulse Oximeter is an affordable and accurate way to check pulse rates and blood oxygen saturation levels. Self-adjusting finger clamp plus simple one-button design allows for easy operation. Small portable size makes it easy to handle and carry. 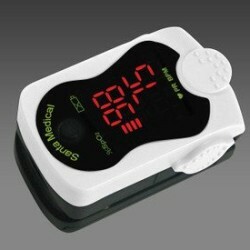 Helpful for athletes and pilots to obtain quick and accurate oxygen saturation readings.